High Yield Topics of S.A.R.P. As the syllabus for the PG medical entrance examinations is enormously vast nobody can know everything. And every topper interview you read will advise you to concentrate only on the Important topics. 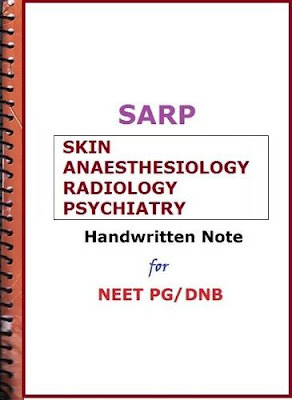 Here we have listed the Important & High yield topics of S.A.R.P. [Skin, Anaesthesia, Radio & Psychiatry] for NEET- PG, AIIMS, DNB and other Medical PG Entrances. 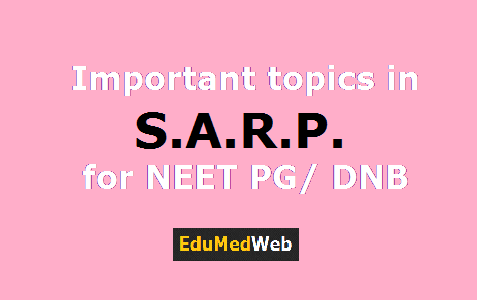 Important & high yield topics of S.A.R.P.